I have a few new beautiful colors for you today! 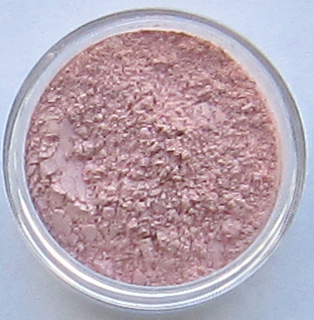 Champagne Eyeshadow- A light, bright bubbly gold with soft pink interference when the light hits it. Excellent for use as a highlighter or to layer over other shadows to lighten them. 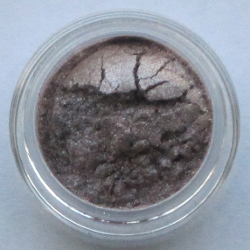 Uptown Eyeshadow- A true customer favorite! This versatile color can be work dark and smokey or sheer and flirty. 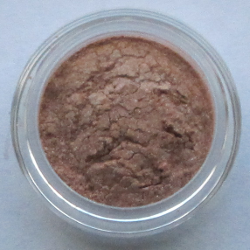 Its reddish brown base has purple undertones and loads of silver shimmer. It's a sparkly one, though not as sparkly as Starry Eyes. Bashful Blush- This is the perfect for fair skin tones. It's a very light petal pink wash of color with just a hint of beige shimmer. Also would be perfect as a highlighter across the top of the cheekbones. I hope you enjoy these beautiful new colors and add them to your collection!